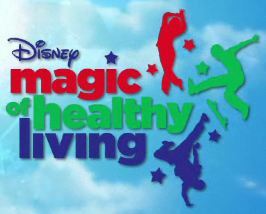 Disney’s health-focused competition – Disney TRYathalon – returns to Disney XD in August as part of a two-night special. The competition is part of Disney’s “TRYit” campaign which is designed to inspire kids and their families to try a variety of new foods, fun moves, and simple things to be their best. The TRYathalon teams Disney Channel and Disney XD stars Leo Howard and Olivia Holt (Kickin’ It), Calum Worthy (Austin & Ally), Jake Short (A.N.T. Farm, Mighty Med), Spencer Boldman (Lab Rats) and Bradley Steven Perry (Good Luck Charlie, Mighty Med) with three viewers who won an online video contest that showcased how they stay healthy. The competition will test the teams’ mental and physical abilities and teamwork while they take on new challenges. Hal Sparks and Tyrel Jackson from Lab Rats host the special. Following the premiere of the Disney TRYathalon on August 13, NBA star Dwight Howard and White House chef Sam Kass are hosting a series of TRYit short programs on Disney Channel and Disney XD. Howard will be showing viewers new exercises to help them stay in shape, while Kass will gives families tips on healthy eating. Starting June 17, a new video featuring TRYathalon participants will launch at DisneyXD.com/tryit, and on June 29 a Disney TRYathalon-themed web game will launch at the same site where users can test their abilities and prove their skills in TRYathalon challenges. The Disney TRYathlon is part of Disney’s Magic of Healthy Living, a company-wide initiative that inspires kids and families to lead healthier lifestyles by making nutritious eating and physical activity simple and fun.